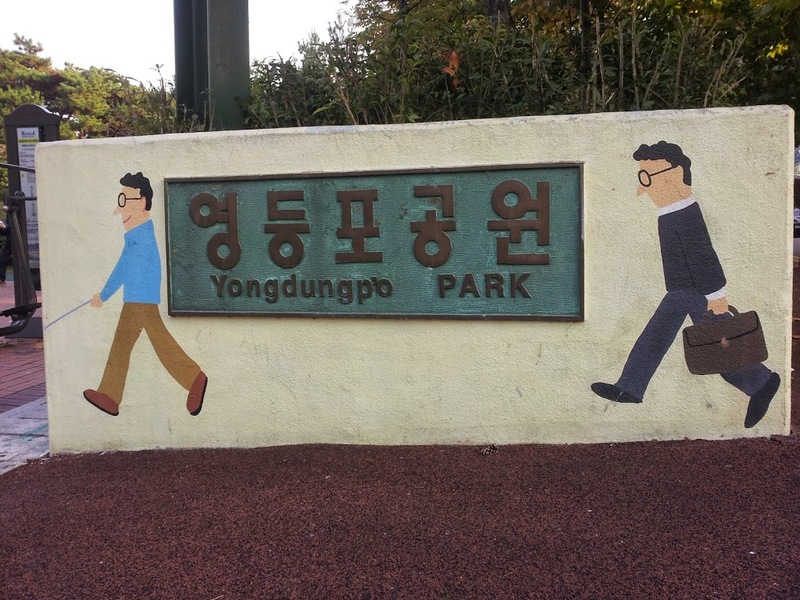 Have you ever asked yourself, "What is Yeongdeungpo Park all about?" Have you ever wondered what there is to do there? 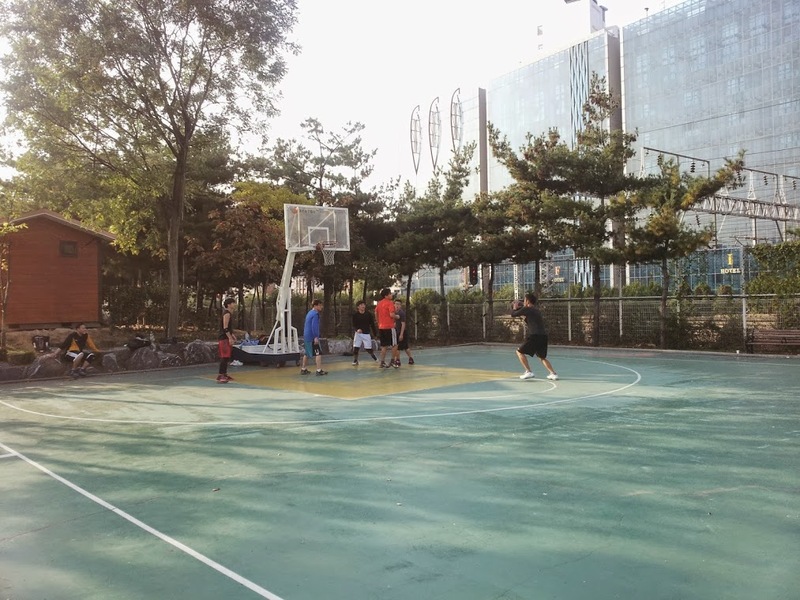 Well, one thing that can be said for Yeongdeungpo Park is that it has a place to play basketball. Yeongdeungpo Park is very subway friendly. 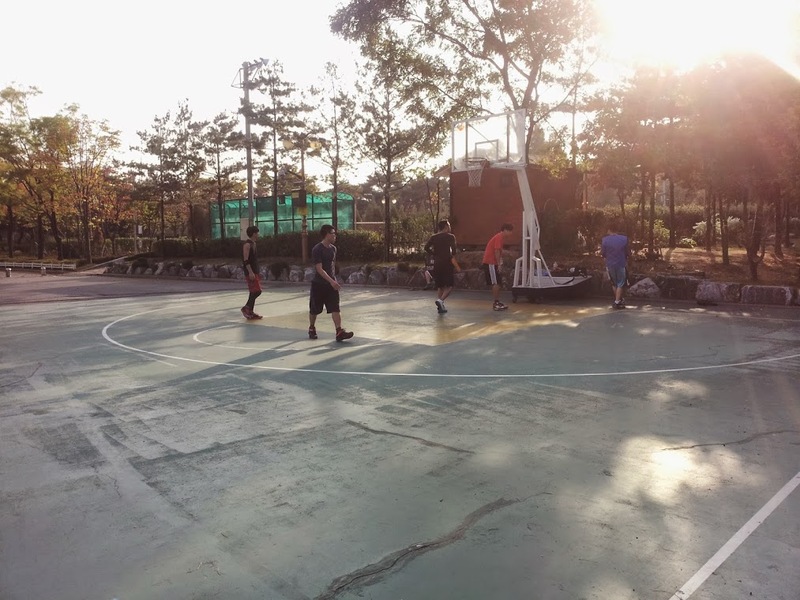 Ipso facto Lacto Tolerance: Yeongdeungpo Park's basketball court is also very subway friendly. The court has decent lighting. 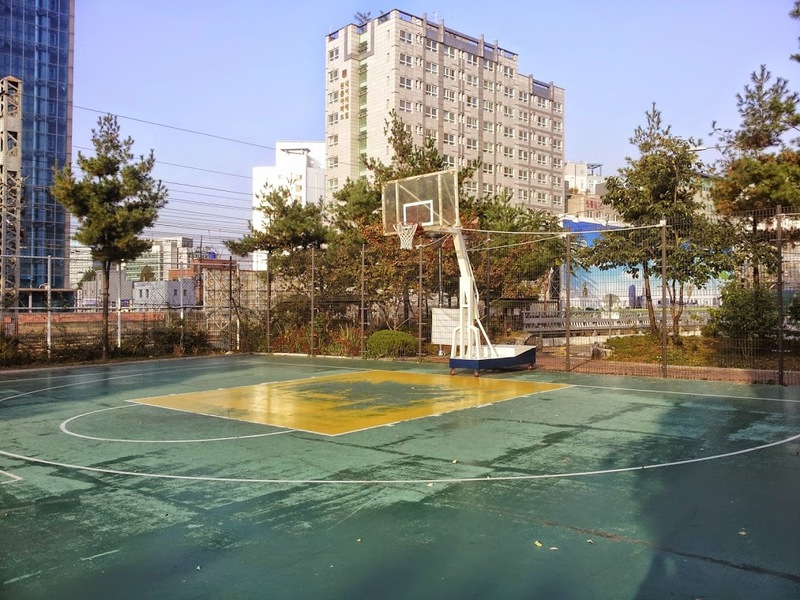 The basketball court is not that busy. If you are looking for a game, you had better bring your own. Every game here comes with an audience: homeless people in the area and trains that pass close by rather frequently. Embrace the audience. Toilets and water fountains are nearby. Doctors say the best way to fight ebola is to stay hydrated. 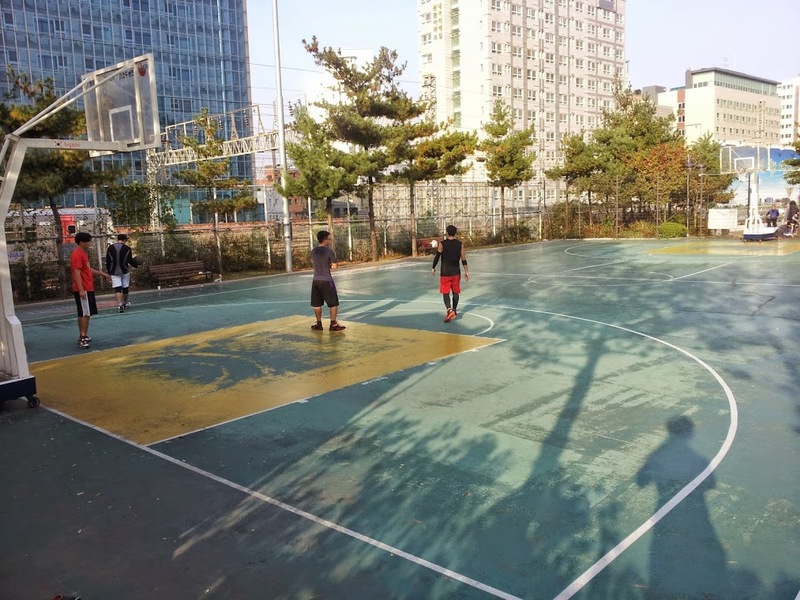 To see more photos of Yeongdeungpo Park's basketball courts, please visit our Google photo album. -Go out exit 1. Walk straight for 190 meters, and you will reach the park.